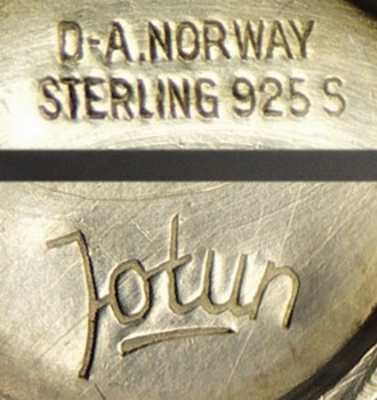 The Norwegian hallmarking system is organized on a voluntary base. 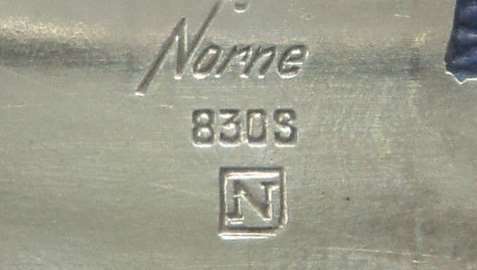 The modern Norwegian system of hallmarking came into effect after the 1891 Act. 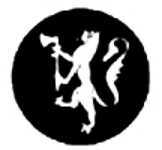 It consists of the national symbol of a crowned rampant lion holding a battle axe inside a circular frame, the silver fineness mark and the maker's mark. 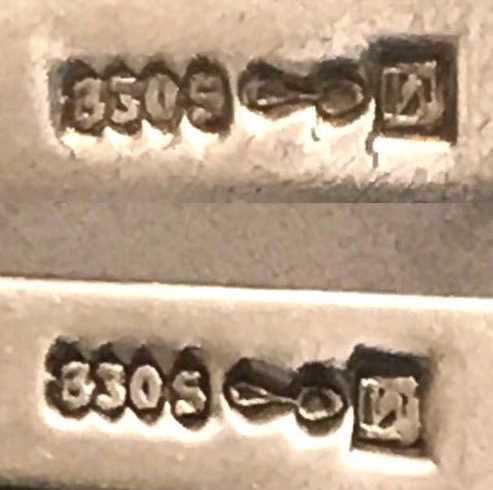 In 1892, silver fineness was standardized at .830 and the mark 830S became compulsory. 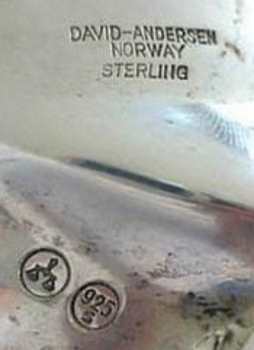 In 1920, standard .925 started to replace .830 purity. 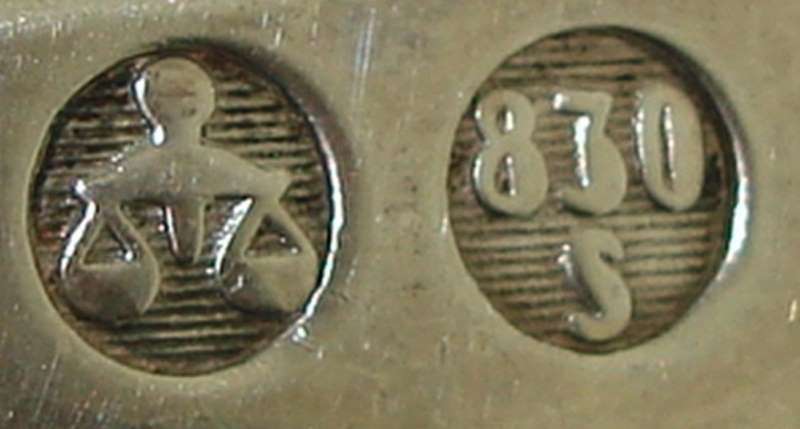 At the present purity 999, 925, 830 and 800 are admitted for silver items, but .925 is the foremost standard in use. Workshop established in 1904. His son Ivar took over the company in 1950. Out of business in 1971. 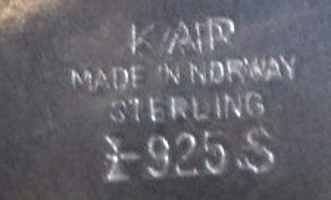 In the early 1950s bought Hroar Prydz and Bernhard Meldahl jewelry businesses. 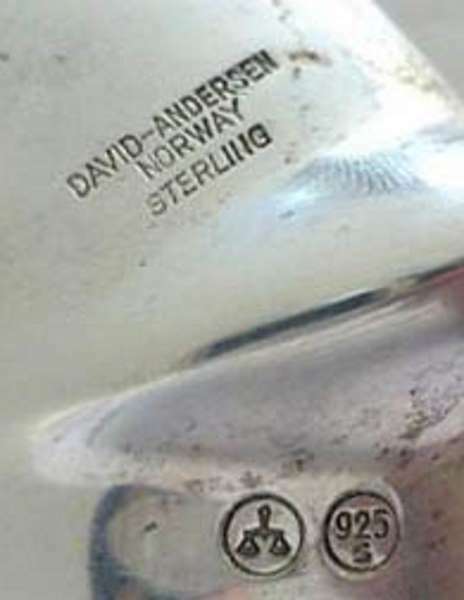 Myhre & Prydz lines where bought by David Andersen. Throughout her career Tone Vigeland has been represented in numerous exhibitions and galleries. Her work can be seen in Applied Arts Museums worldwide.